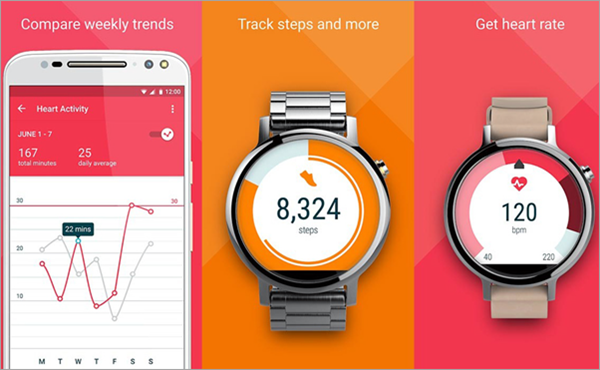 In the past few years, fitness tracking has become one of the functions of Android smartphones. Smartphones are no longer just devices to call and text your friends and workmates as it can now help people ensure that they are healthy. The gym workout apps for Android in the market right now are varied enough to respond to the differing needs of Android device users. 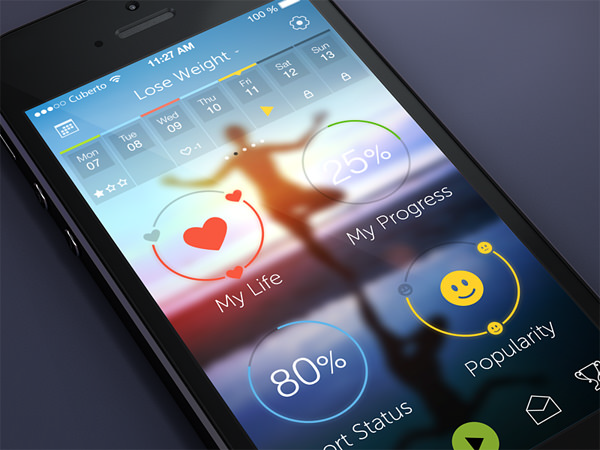 Also called fitness apps, these software packages provide insights about your daily physical activity. This data will help you improve your exercise regimen so you can strengthen your muscles and lose your excess weight. 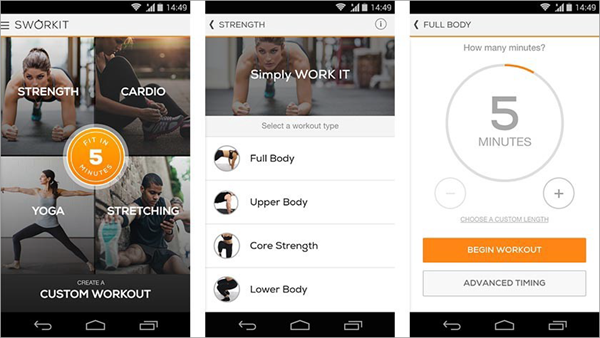 In this article, we tackle 10 of the best Android fitness apps available right now for you. Google Fit is a native fitness tracking app that Google developed, so that you can directly download it from Google Play Store (Google Play Store is not working? See how to fix it.). Using sensors on the activity tracker or device, it helps record the workout you do. From this information, it can provide you with insights with regards to your pace, speed, elevation and even route. Additionally, it can give you real-time statistics of your fitness activities. Google Fit is free for all Android users. It can also be integrated with Android Wear for smartwatches and other wearables. With more than 50 million users worldwide, Runkeeper is arguably one of the most popular fitness apps for Android on this list. It utilizes GPS to record your fitness activities. The app then compares the results and statistics for you. 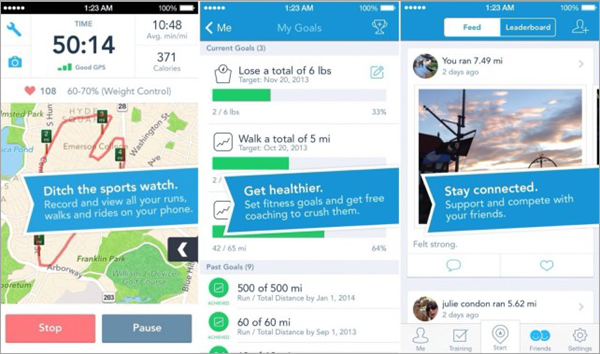 Runkeeper is mainly ad-supported and free. There are a few in-app purchase options on it too. Runkeeper can do a lot of things. Among the things it can calculate are cycling speed, route distance, accurate calorie burn and running pace. And please remember to check the traffic situation first with these Android traffic apps, in order to avoid traffic jam during the way of your training. You can also view an extensive record of your activities. It also has a few training plan workouts. You are able to create your own training plan through audio coaching too. 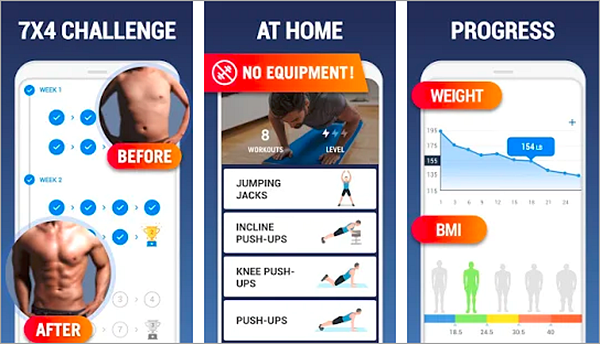 If you are looking for a Android fitness app that gives you a programmatic approach to exercising, JEFIT is a good option. 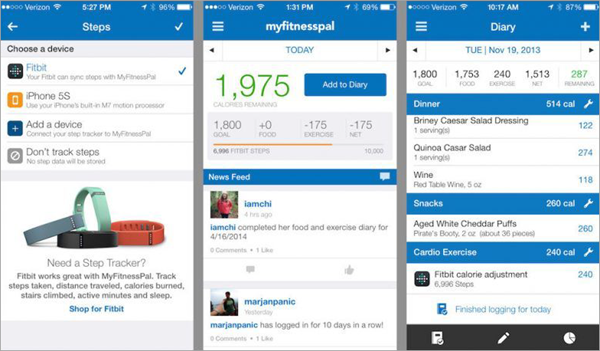 The apps has a large library of free fitness programs. In fact, the app itself has 1300 detailed exercises that has corresponding instructional animated clips. The JEFIT Workout Tracker enables you to efficiently track your progress through progress reports and workout logs. The great thing about JEFIT is that you can use it even if you are offline. The data is also synced to your cloud platform. 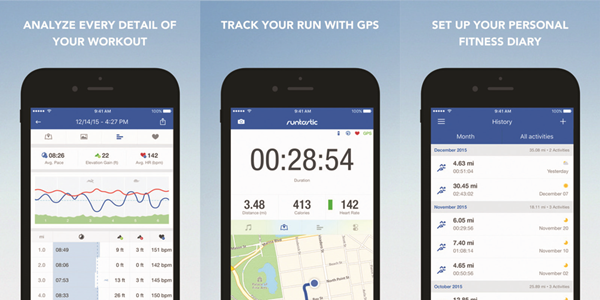 Through its excellent GPS functionality, Runtastic keeps track of your fitness activities. If you need to, it gives you detailed graphics and statistics to evaluate your workout regimen. 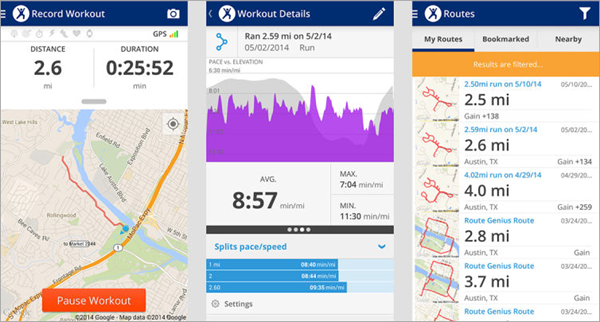 Runtastic is a free app, with a few apps and in-app purchase options. Even if it is free, it has live tracking and voice coaching. If you anticipate that you won’t be able to visit the gym in the next few days, Sworkit enables you to create a custom routine for you to do. You can even download the videos from the app. There are also exclusive exercises and guided workouts. While Calorie Counter is not exactly an Android gym workout app, it does have 350 exercises on its library. It does, however, help you keep track of the food that you eat so you will achieve your goals. If you are the type of person who does not have the time and energy to go to the gym, download Home Workout. 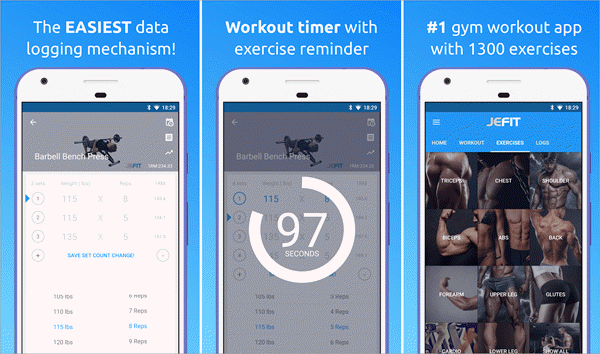 This impressive gym workout app for Android brings you as much as 100 videos and animation guides so you can do workouts even at home. These exercises have been crafted well by experts to address specific muscle groups. Home Workout also has warm-up and stretching instructions and reminders. It even enables users to design their own routines. MapMyFitness lives up to its name by tracking a diverse set of fitness activities. It has yoga, cross-training, gym workouts and other activities on its options. It also assists in diet planning and weight tracking. Are you a competitive person? 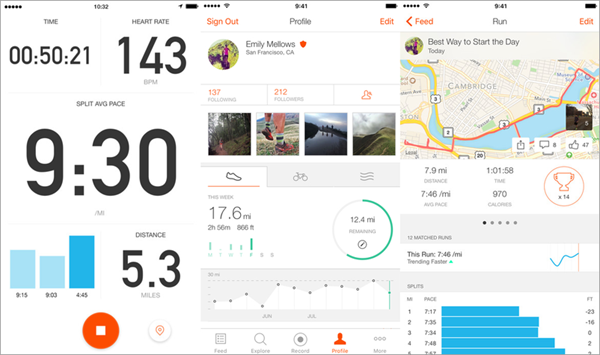 Strava is a good workout app for you as it has the leaderboard feature. It provides a list of select app users that you can compete with. You can also challenge yourself. 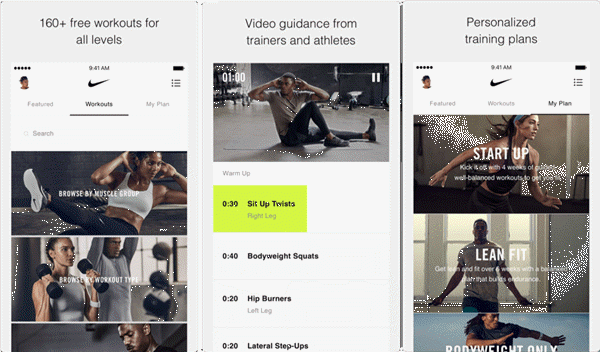 Just like the Google Fit, the Nike Training Club is one of the most popular Android fitness apps that has no in-app purchases or ads. It has a wide variety of activities that you can record like running, spinning and others. Nike Training Club has more than 160 free workouts that can help you improve on your strength, mobility and endurance. This will help you enhance your abs, triceps and other important body parts. If you are utilizing an Android device, you should maximize its use by installing Android fitness and workout apps on it. This will help you become healthier as it assists in pointing out the things you need to work on. Some of these Android gym workout apps also offer tips for the exercises that you do. A few even have instructional videos for you. Is your favorite fitness and workout app for Android not in this list? Share the apps that you utilize below.